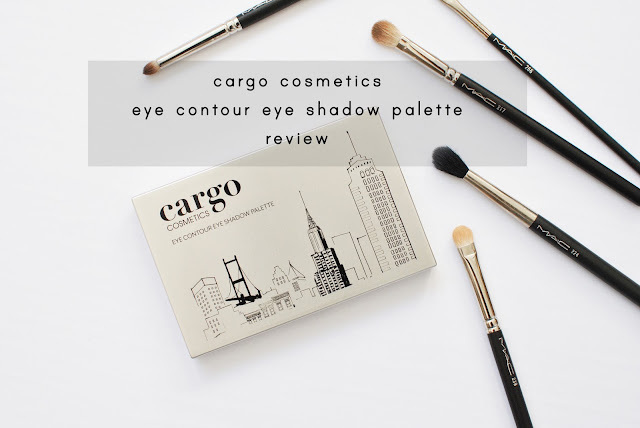 Cargo Cosmetics is a well-known Canadian makeup brand that has been around for over 20 years. As a student, I used to love their lip glosses in their little metal tins. They were the best! 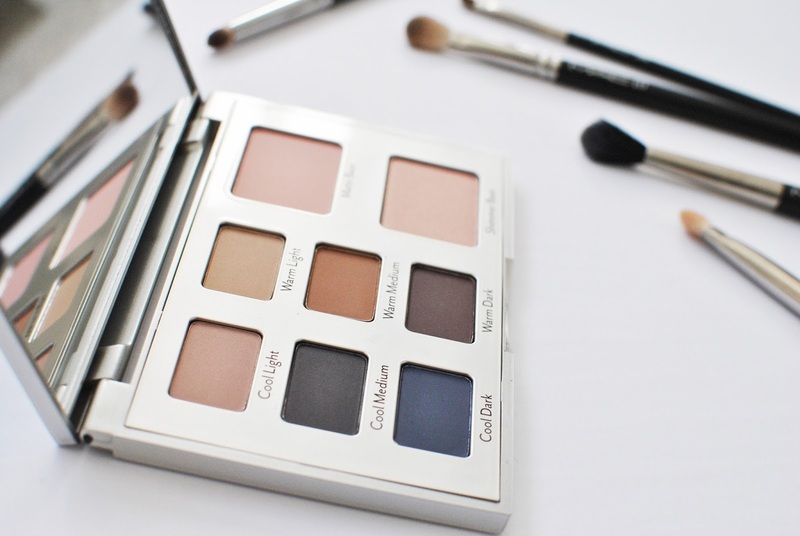 I recently had the opportunity to try their new Eye Contour eyeshadow palette. I believe branding it as an "eye contour" is smart, given how trendy contouring is right now. The packaging is sleek and sturdy and I love the city design on it - although I'm not sure why it's there. 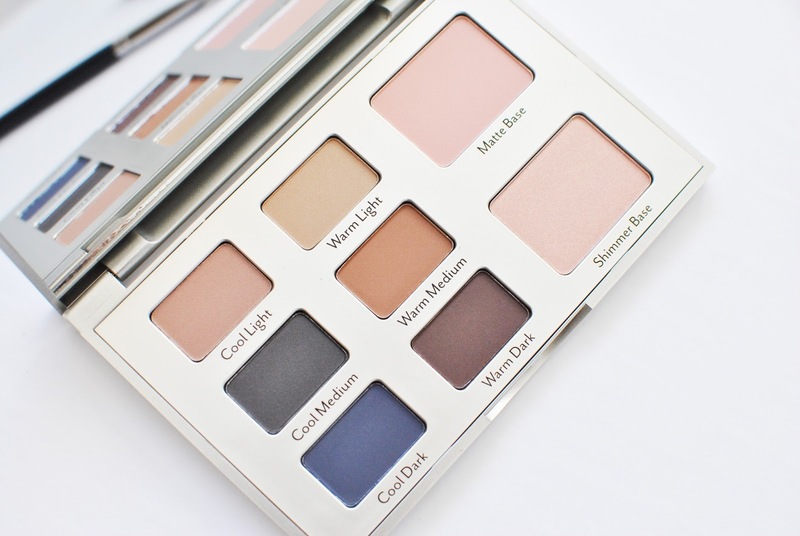 The palette is of medium size and can easily be carried in a purse. Inside is a giant mirror, which I absolutely love. 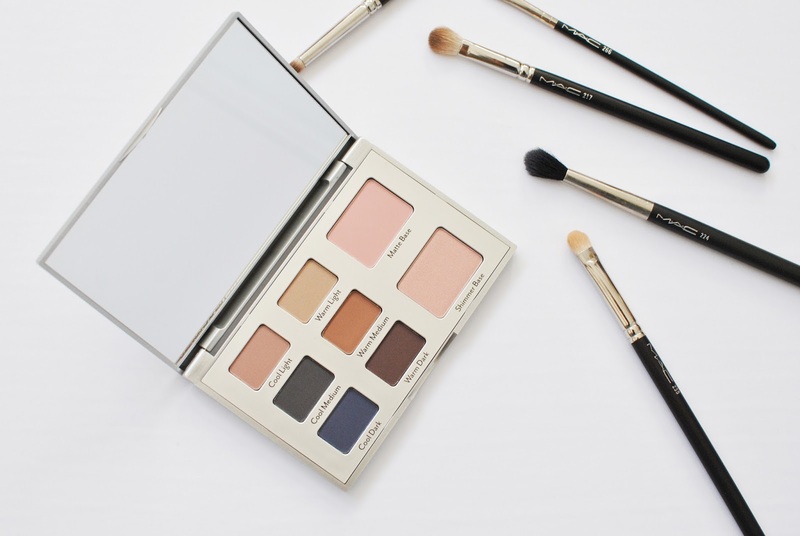 The palette includes 6 matte eyeshadow divided in 3 cool shades and 3 warm shades, as well as 2 shadow bases: one matte, one shimmery. 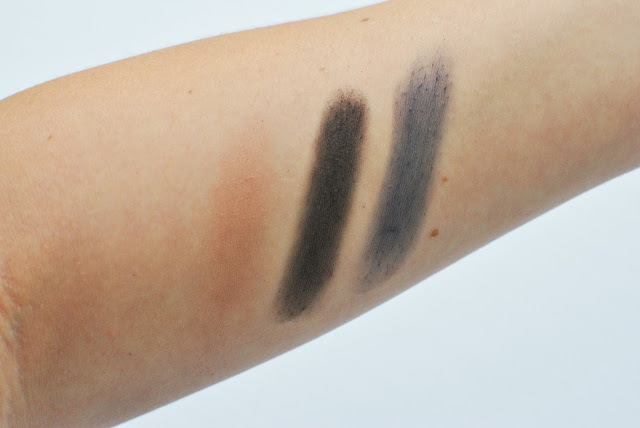 The colors are fairly neutral except for a beautiful deep blue that could easily be used to smoke out an evening look. I think the distinction between cool and warm is a good idea, but I don't necessarily agree with how they classified the shades. The 6 shades are also ranged from Light to Dark. The two base shades are very pink and aren't what I would choose for a base. That's where this palette falls short for me. I had such high hopes, and the colors seemed perfect for the Fall. But as soon as I swatched them I realized they would be hard to work with. 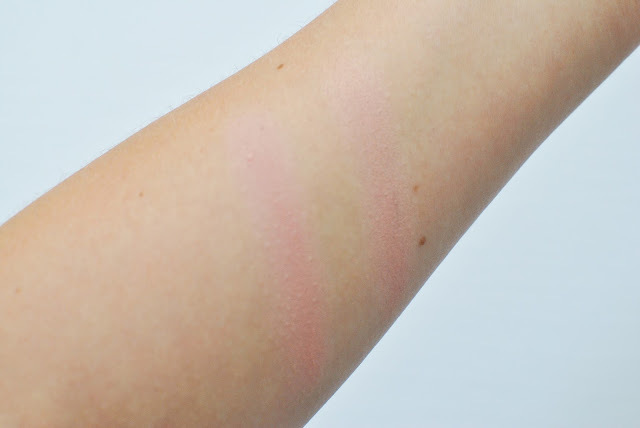 I was expecting buttery smooth, highly pigmented shadows. What I got was rock hard, barely there, chalky shadows. I had to rub my fingers in the shadows several times to get some kind of color to show up. They are also very hard to blend. 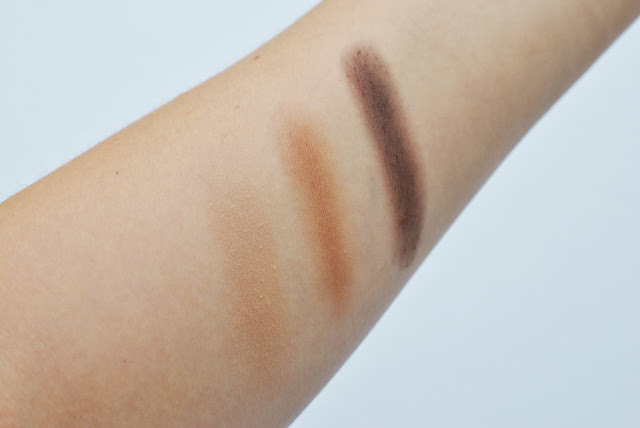 It's such a shame, because this would have been the perfect little palette for the season!